This is in continuation of my last post. The evening was beautiful. 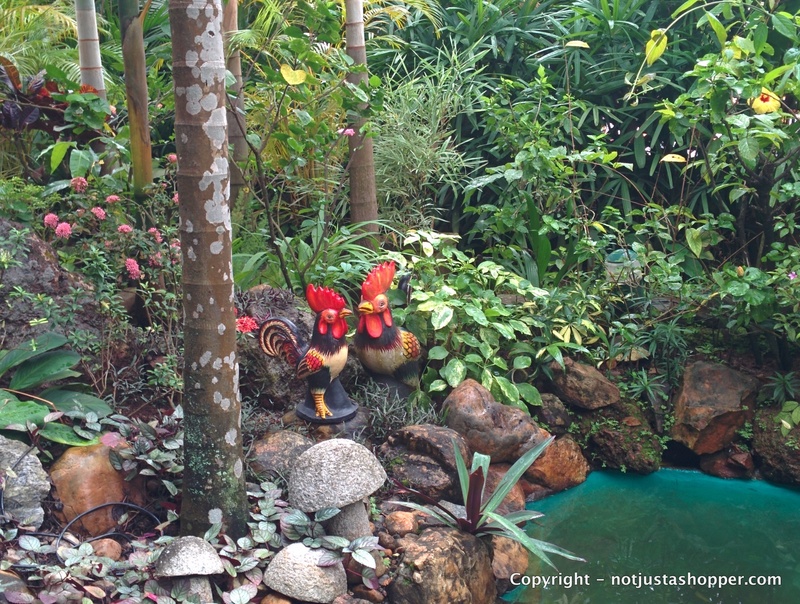 I absolutely love Cavala – retro music and delicious food. With a perfect start to the day with a picturesque sunrise, yoga by the beach and breakfast at Lila Cafe (again! 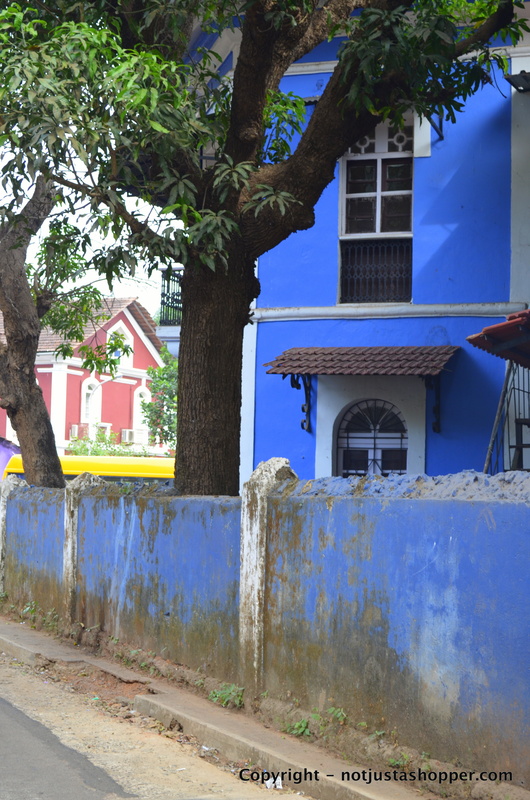 ), I was all set for a packed schedule with a visit to Panjim and meeting some friends. 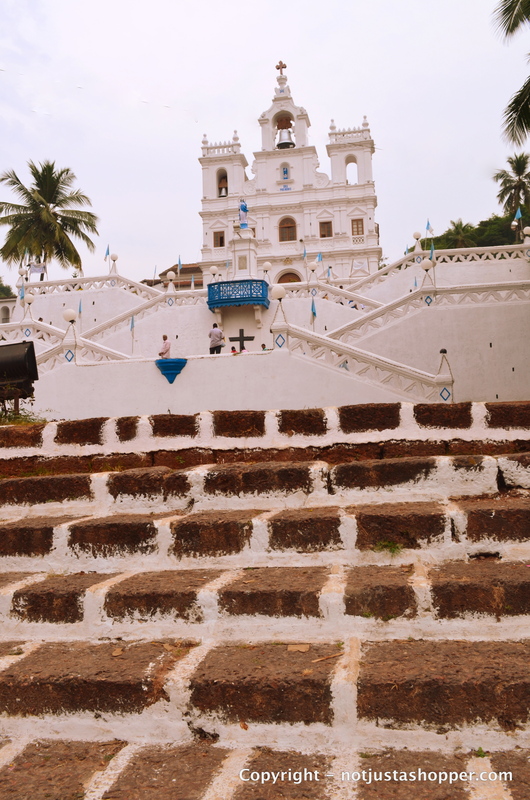 Goa is famous for it’s churches, but did you know that there are a large number of temples there too? Have not visited or seen all of them, but I was told there are over 130 temples! 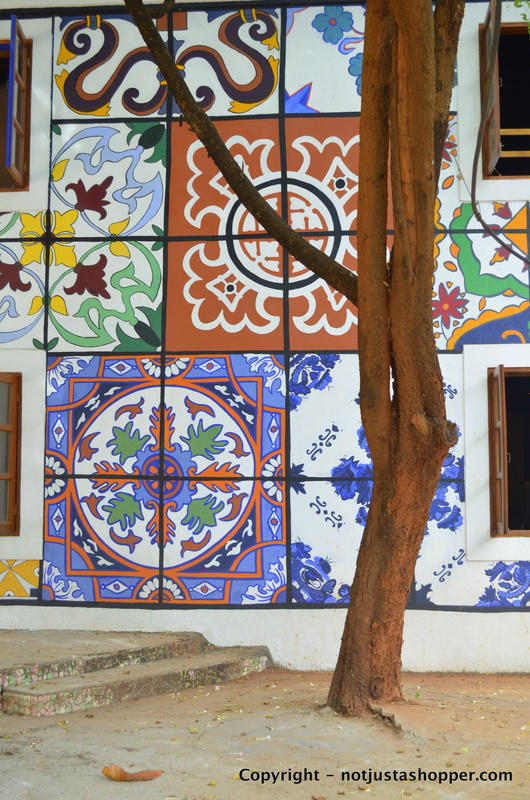 Do notice their architecture – it’s very different from what you usually see, with distinct Portuguese influence. 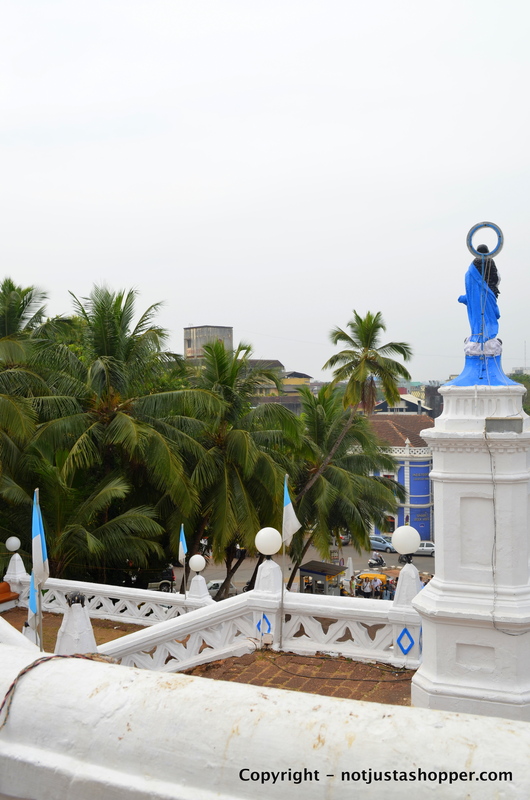 The pristine white Church of Our Lady of the Immaculate Conception, Panjim, Goa is one of the oldest churches in Goa and has been in existence since the year 1540. The church is perched up on a hillside and one can see the entire view of the city, just as you climb up the stairs. It’s just beautiful in its simplicity! If you’re a keen photographer and want to see colourful houses dotting the streets, a visit to Fontainhas has to be in your itinerary. Just walk around and your eyes will be treated to candy-coloured houses, each with a story, art galleries, some quaint shops and a few interesting cafes. 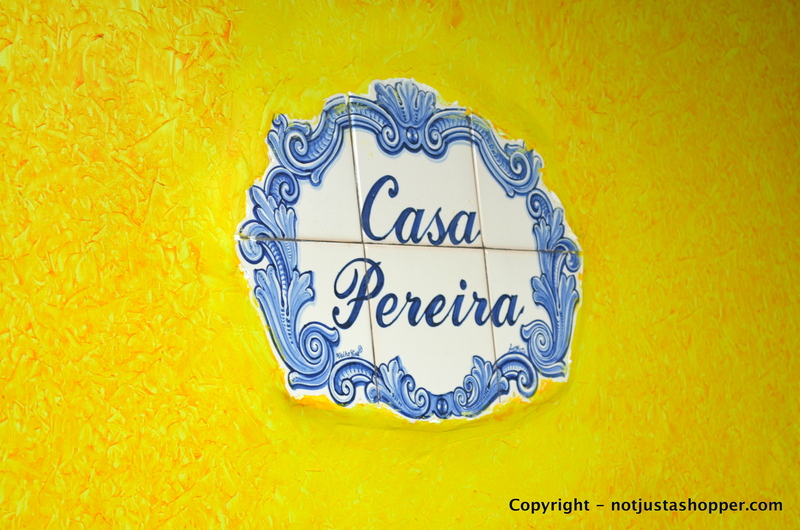 I got talking to one of the residents of a 600 years old house – Casa Pareira. He told me about the history of his quaint Portuguese home and how he had re-painted it for his daughter’s wedding in October this year. I had a wonderful time with my friends – taking pictures, talking to people, laughing and giggling at silly jokes – just having fun. 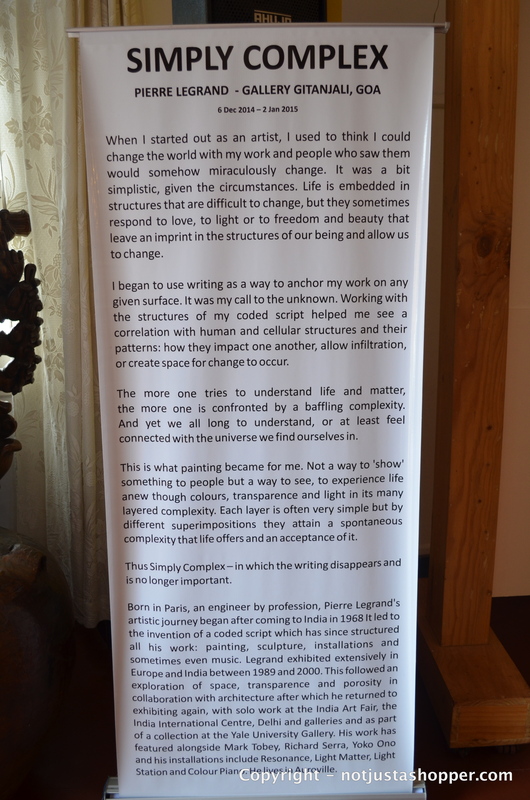 We chanced upon a lovely art gallery which had an exhibition of the paintings of Pierre Legrand. The intriguing art is a combination of algorithms and mathematical formulas which translate language into visual equivalents of structure and colors. 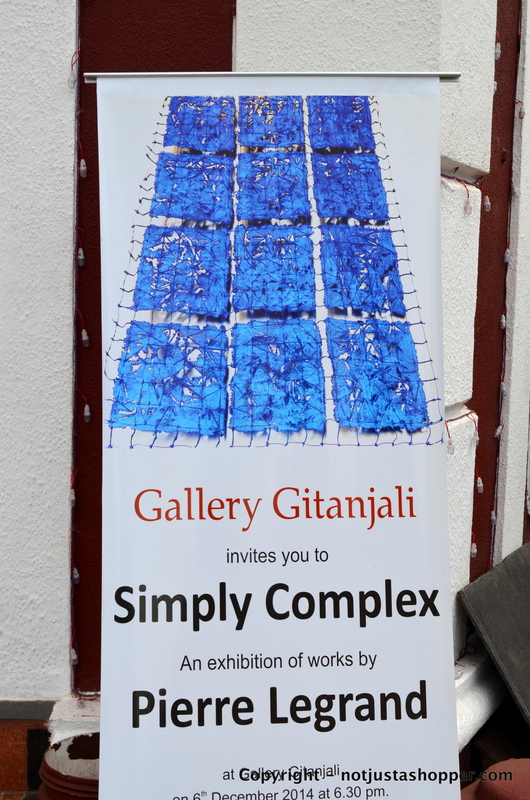 The artist is based out of Auroville, India. Thank you Aisha for taking the time out and explaining the paintings to me. 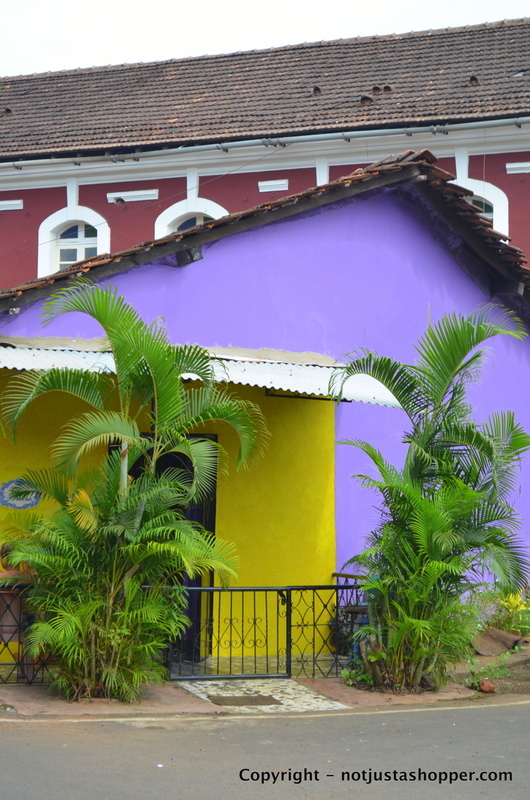 After this colourful treat for the eyes, it was time to treat my stomach with some delectable Goan cuisine. 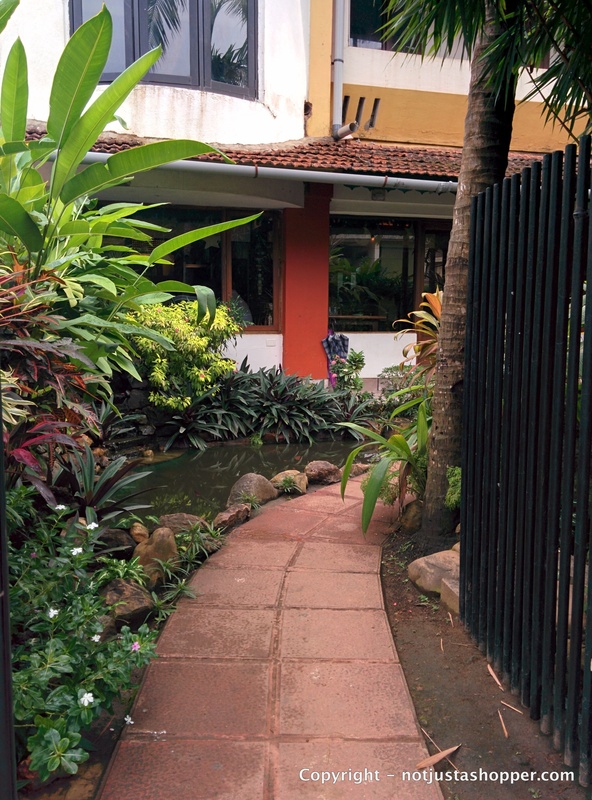 We were recommended a quaint restaurant called Mum’s Kitchen by someone who hails from Goa and is proud of the local fresh produce and authentic goan cuisine. 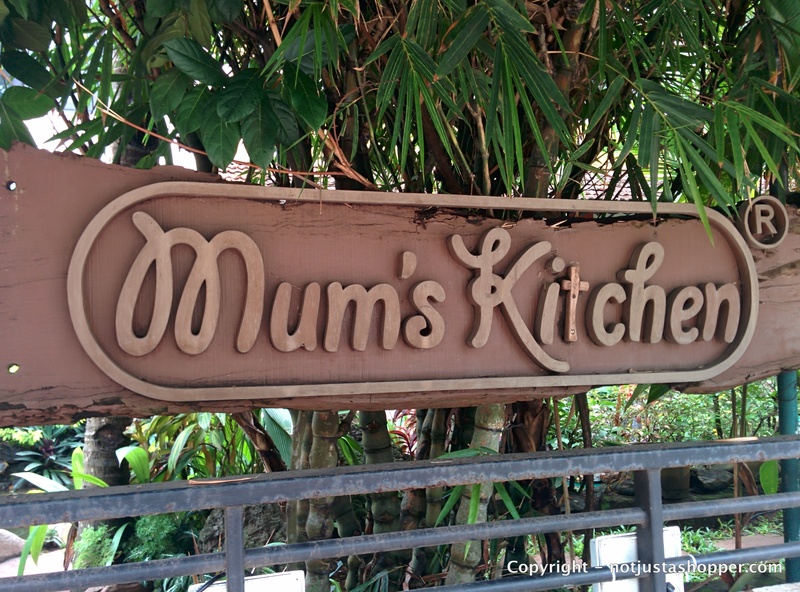 Mum’s Kitchen is located on Panjim-Miramar road and serves authentic Goan cuisine. A tad expensive, but the food and service covers up for that aspect. I had always known that it’s difficult to get authentic regional cuisine for vegetarians in Goa, but that was a myth busted. With a huge variety to choose from, I went with the restaurant’s recommendation – Goan brown rice, fresh bread and Mushroom Xacuti. The Xacuti was a coconut, tamarind and spicy treat – tastes better with the bread than the rice 🙂 I must add. After a lovely meal I usually long for dessert, but the stomach gave way! Bibinca, a multi layered Goan cake (made with refined flour, coconut milk, egg and cardamom) and Dodol (made with coconut jaggery, coconut milk and rice flour) don’t really count as heavy desserts, or do they? Next time for me, it’s going to be Alle Belle or the Goan pan cake which is typically had with a scoop of vanilla ice cream. Have you tried it before? Do tell us if you have! Time to relax for a while after overindulgence! Afterall, I have to be ready for the evening and new adventures! 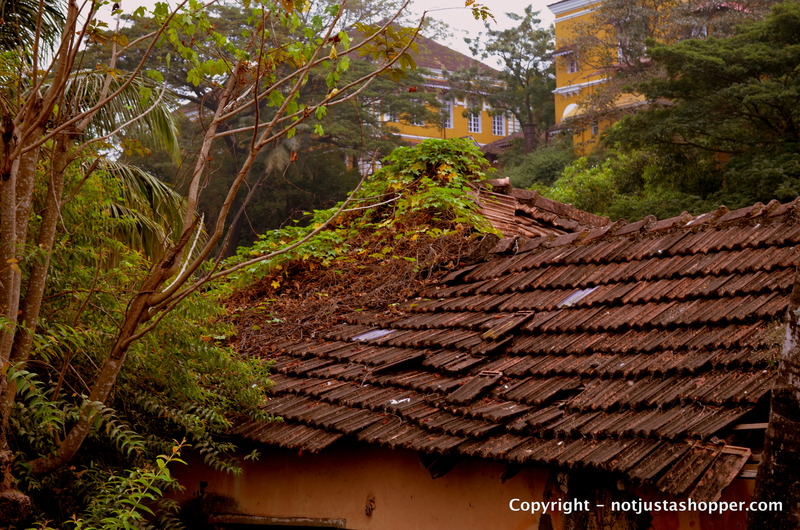 I promised you that there is more to Goa than the sun and sand. 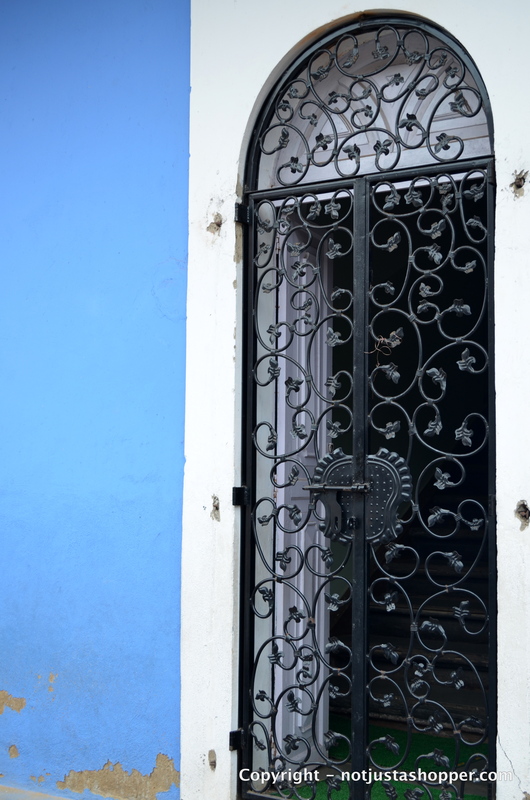 Panjim, specially the Fontainhas has been a pleasant surprise for me. I am going to be back soon. Are you tempted to pack your bags yet? So, what are you waiting for? 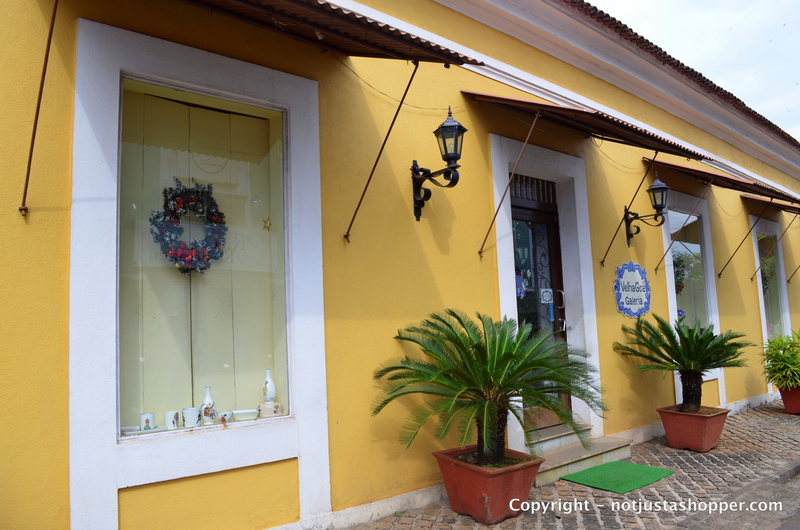 Start planning, if not packing, for your next Goan Holiday!